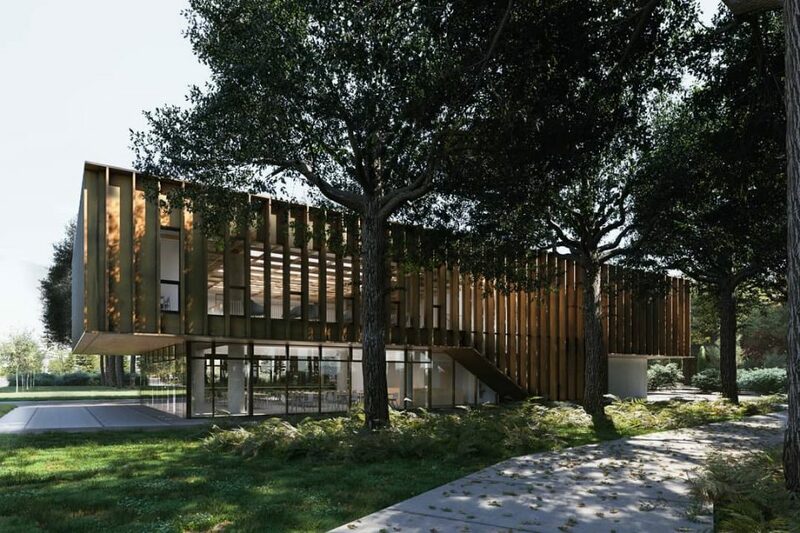 A new UBC Arts Student Centre located in a treed area known as The Bosque is proving controversial with some who do not want to see several pin oak trees cut down. A Twitter account — @BosqueUBC — has sprung up to encourage people concerned about the trees to speak out. Proponents of the Twitter account argue the building could easily go elsewhere on campus. The trees were planted in 1968 when the former Student Union Building (SUB, now known as the UBC Life building) was completed. Approximately eight trees will be removed to make way for the new building. 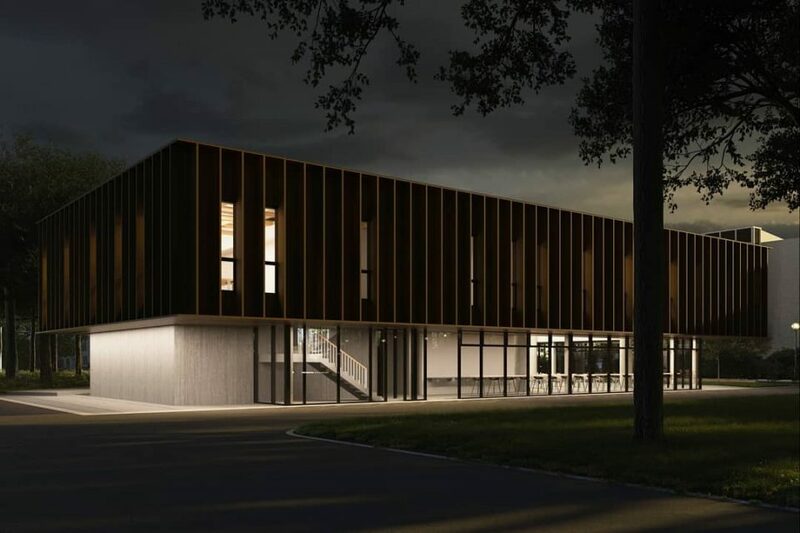 The new arts student centre will measure approximately 10,000 square feet over two floors and will provide activity and amenity spaces for UBC Arts students. The design takes inspiration from UBC’s early international style architecture. 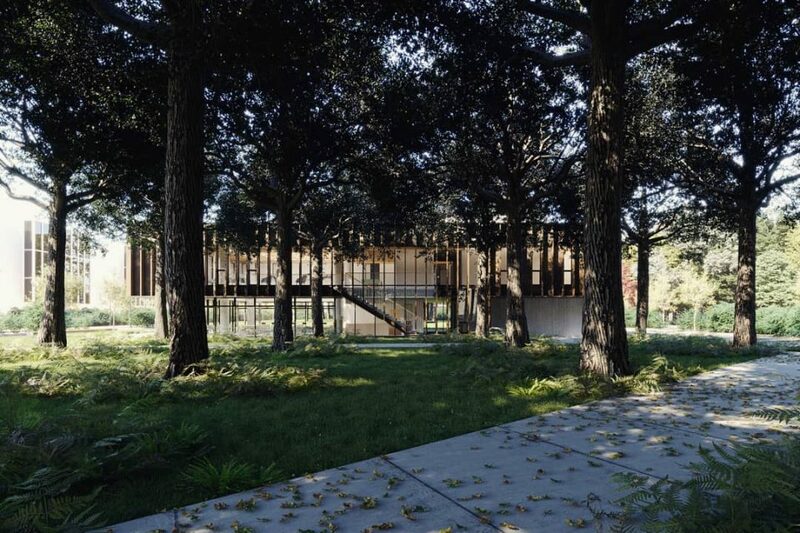 The form and massing are lifted to provide an inviting and penetrable ground plain, a horizontal dominate form and a pavilion in the landscape. 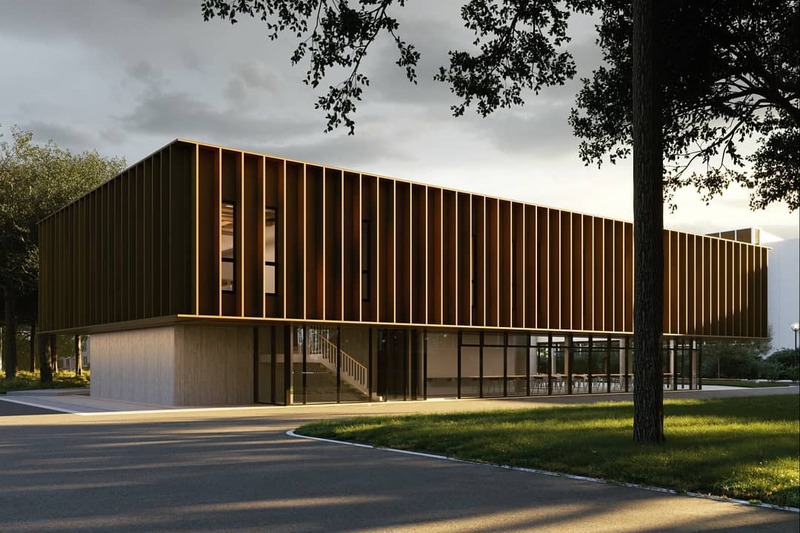 The material palette includes glass, wood and natural concrete, with vertical fins providing privacy as well as solar protection on the west façade. The building will achieve LEED Gold building certification. The university also hopes the new arts student centre will be a “lantern of activity” in The Bosque. Architects are Leckie Studio Architecture + Design of Vancouver. The new arts student centre is located near the upcoming Pacific Residences student housing development, which will add 1,000 new student beds to the Point Grey campus. An open house will be held on April 2, 2019 between 11:30 a.m. – 1:30 p.m. in the concourse at the UBC Life Building, 6138 Student Union Boulevard, Vancouver. Editor’s note: Peter Meiszner is an employee of the University of British Columbia.